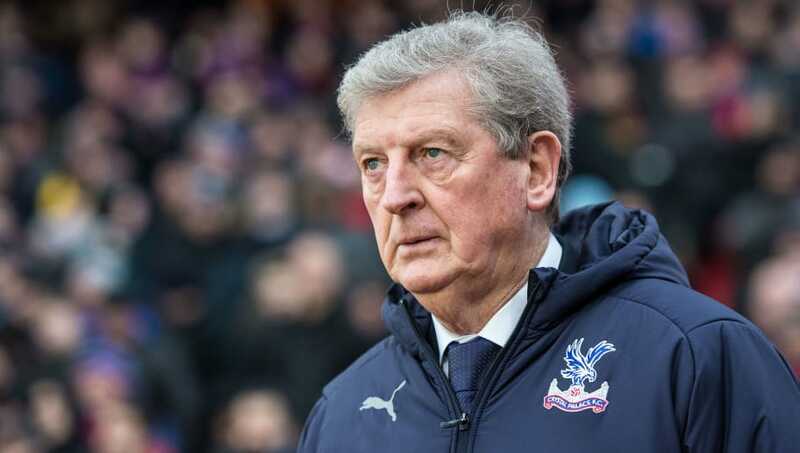 ​Crystal Palace manager Roy Hodgson admitted he was 'disappointed' with the chances that James McArthur and Michy Batshuayi passed up during ​their 1-1 draw with West Ham United. After a poor first-half that saw the visitors deservedly go ahead through Mark Noble's 27th minute penalty, the hosts rallied after the interval, and managed to earn a point with Wilfried Zaha's fifth league goal of the season 14 minutes before the final whistle. Despite earning a point, Hodgson failed to hide his frustration after the game regarding his side's failure to take their opportunities to win the game, citing particularity poor misses from McArthur and Batshuayi in the second-half prior to ​Zaha's equaliser. Speaking post-match to ​Sky Sports, he said: "If you don't miss chances, and we took every chance we got, every game would end 10-8. "But I was disappointed in them. I really did think with the James McArthur one and the Michy Batshuayi one we were definitely going to score. Other chances we created the goalkeeper (Lukasz Fabianski) was very good. "He made a lot of saves as opposed to ours who was rarely called into action, but unfortunately he found himself the victim of a penalty shout where the referee decided against him, but it was a harsh shout I thought." The point sees ​Crystal Palace move up one place to 13th in the ​Premier League, although the Eagles still remain in the midst of a relegation battle being just three points above Southampton in 18th. Hodgson was also asked after the game about whether Luka Milivojevic was fortunate to remain on the pitch following his challenge on Mark Noble in the second-half, with the midfielder already on a yellow card, however the Palace boss claimed he was unlucky to already be cautioned for a trip on Javier Hernandez in the first period. He added: "It was very strange that we picked up three yellow cards in the first half for fouls that we committed throughout the game. "I saw a lot of other fouls which were similar in kind to the ones that got yellow cards so I don't think he was lucky [not to get sent off] at all. It was pretty unlucky that he got the first one."